This page contains the basic tools needed to accurately score most trophies. For those that are ” into ” scoring, I strongly recommend that you have a good manual. From time to time you will have antler and horn configurations that require more interpretation of how to measure it. 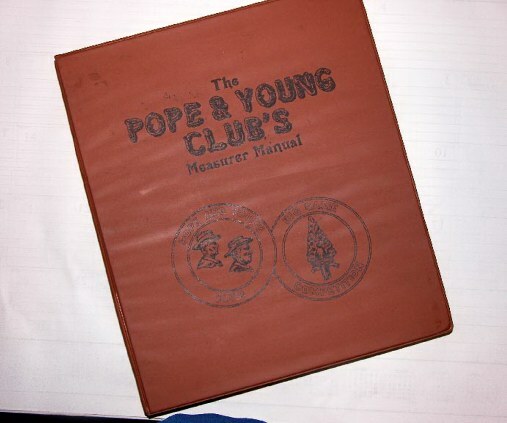 The Pope & Young Manual is one of the best on the market, and can be purchased from P&Y for $27.50 ppd. Ring-end tapes are useful when taking circumference measurements because the ” Zero ” reading is inset from the end of the tape. Ring-End Tapes can be purchased at your local hardware store or from P&Y for $8.50 ppd. Lip-End tapes are used for measurements taken with the cable and for directly measuring most antler points and horn lengths. We recommend you have 2 of these tapes in your “Tool Kit”. Lip-End Tapes can be purchased at your local hardware store or from P&Y for $7.50 ppd. 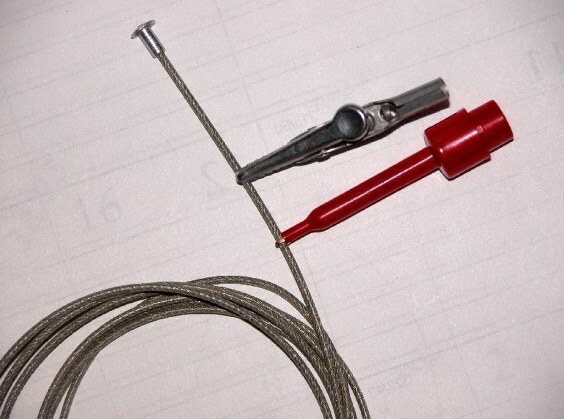 The measuring cable, along with an alligator clip or mini wire clip, is used for the main beam lengths, points with curvature, and marking the base lines. 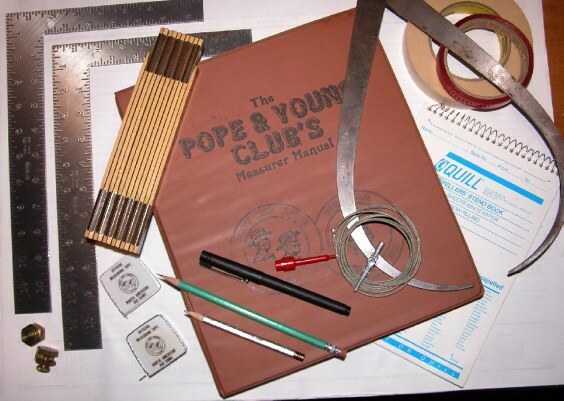 Cables can be purchased from P&Y for $3.00 ppd. 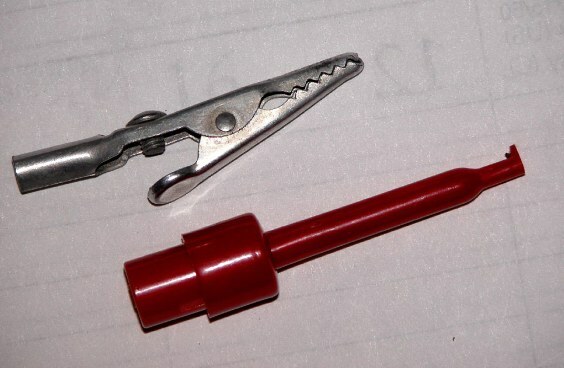 Alligator and Mini Wire clips are used in conjunction with the cable. 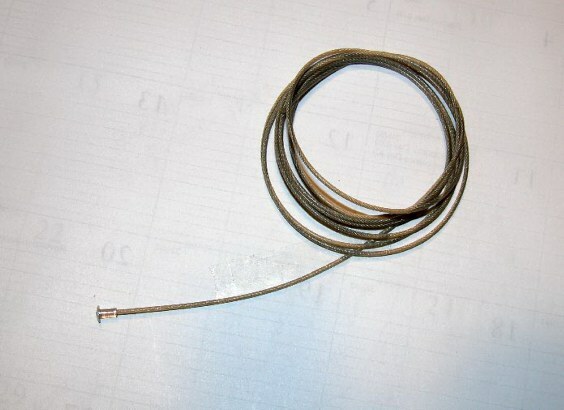 Attach the clip to the cable at the desired location to determine length of that measurement when you release the cable. You can find both of these items at Radio Shack. 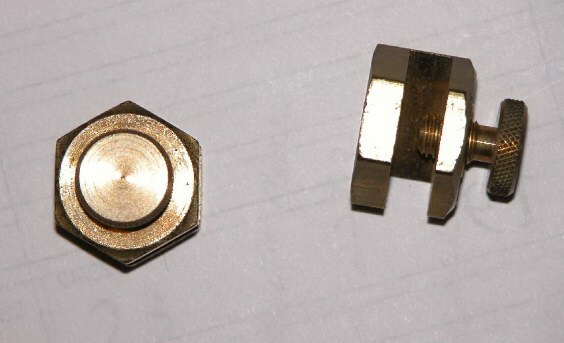 We prefer the mini wire clip. You can see that the wire clip will give you a more accurate reading, and it holds to the cable more securely. 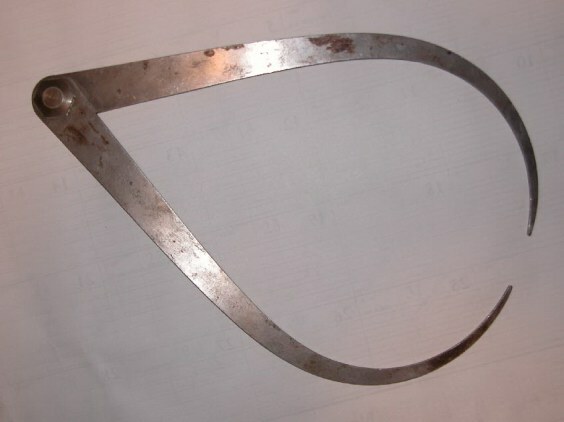 Calipers are used mainly for Skull measurements. This is the quickest and most accurate tool for the job. The ones we use are the 12 inch size, and can be found at most tool supply stores. 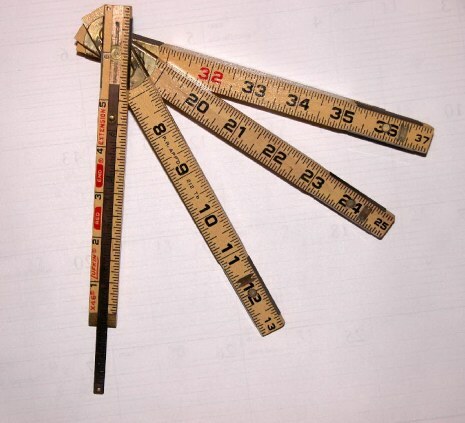 The Carpenter’s Ruler is primarily used to measure the inside and outside spreads. It is the most accurate method of taking these measurements. These can be purchased at your local hardware store. 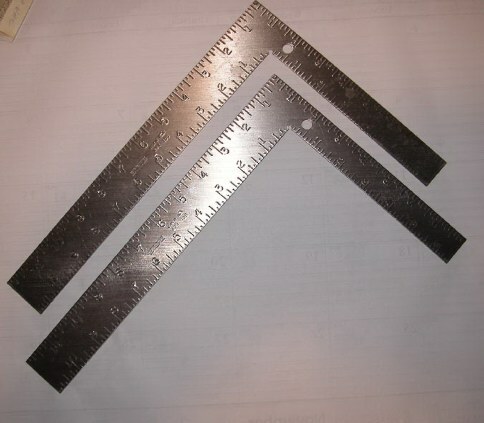 Carpenter Squares are used when a perpendicular line is needed for an accurate measurement is necessary, such as outside spread or the “Bez ” measurements on a Caribou. 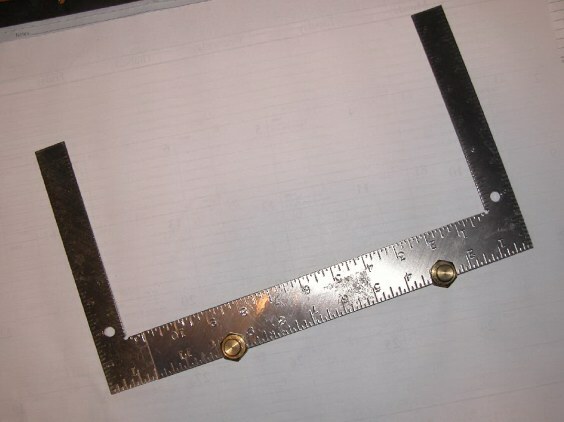 Mini Clamps are used to hold 2 carpenter squares together when making some measurements. These can be purchased at your local hardware store. Here are two squares clamped together. These can be used for measuring ” Skulls ” as well as the uses previously mentioned. 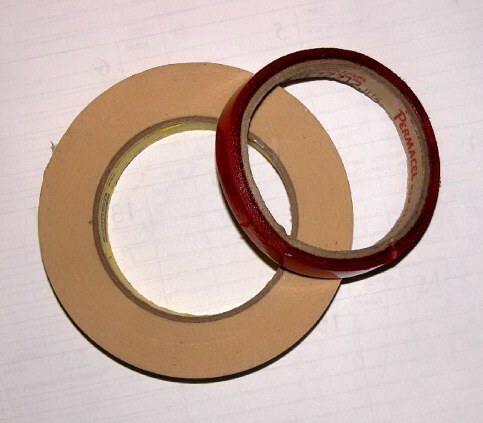 A roll of 1/2″ or 3/4″ masking tape is useful when scoring Horned Animals.The colored tape is handy when measuring animals with multiple non-typical points, by marking them to eliminate confusion when scoring the animal. 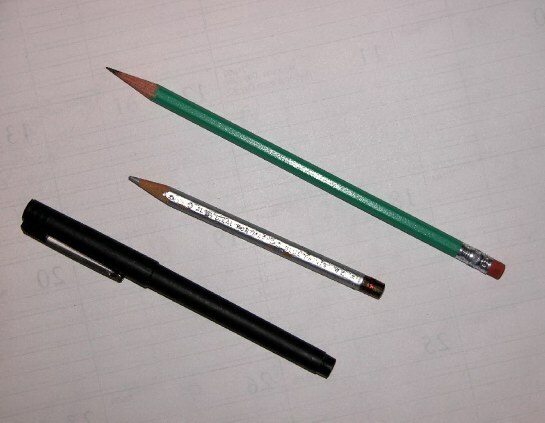 Pencils and pens are another addition to your Tool Kit. We like to used a regular pencil on light colored horns and antlers, and use a silver colored leaded pencil on dark colored horns and antlers. The ” silver leaded” pencils can be found at blueprint supply stores. 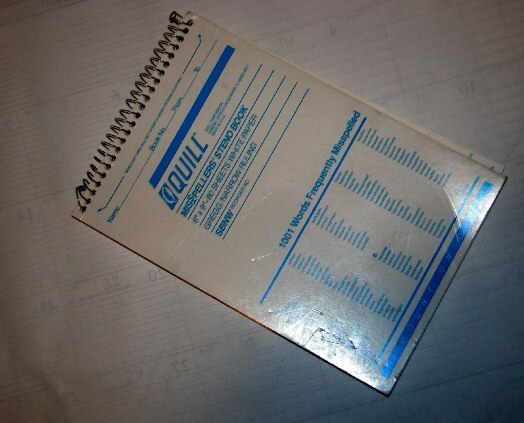 Score Forms should be filled out in ink. A scratch pad is self- explanatory. After all the smoke clears, and the measurements indicate that the trophy exceeds the minimum reqirements to be entered in the Records System, It is time to fill out the score forms. 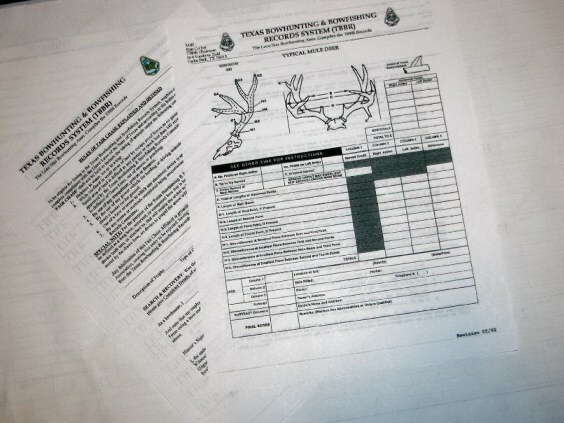 Forms are available for download and printing at the main menu titled Score Forms.